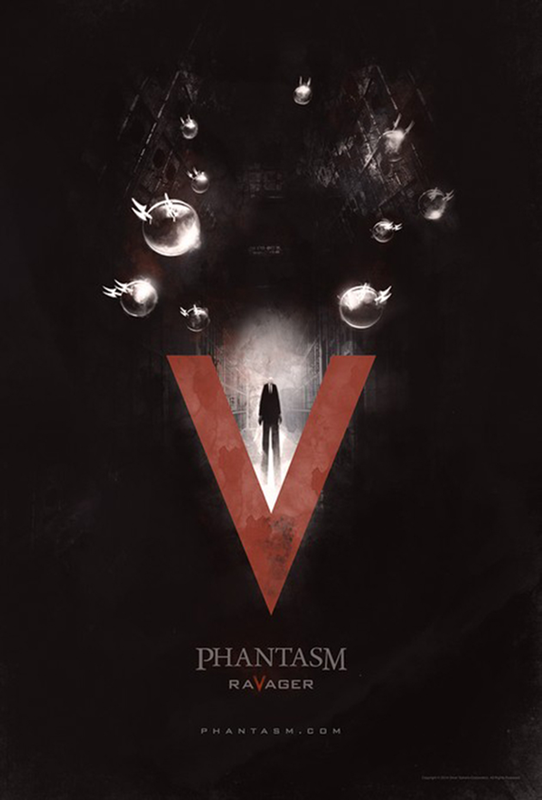 So, about that goddamn Phantasm V trailer that everyone's talking about. First thing's first...are the Phantasm films such an amazing franchise that would warrant any kind of revisit into that particular cinematic universe? I mean...seriously...if we can be completely frank about the subject. Are the Phantasm films great? Now...before we get into that, I would like to mention that the very first Phantasm film holds a special place in my heart. So much so that I'm always pretty willing to forgive the flaws of anything that comes there after. Thus making me a little biased whenever I'm engaged in any serious discussion/debate regarding the awesomeness of the rest of the films. I will always argue that there are some really great elements in the sequels and some truly imaginative, if not far out, concepts that really push the genre into some cool new directions. Don Coscarelli and company have really created something unique to add to a genre filled with so many common tropes. Now, I will agree to the fact that most of those particular "innovative" elements do tend to fall flat and are more awkward than ground-breaking. But, still...sometimes you have to forgive the suckage of a film because it did try something altogether new. So, I'll always wave the Phantasm flag for the simple fact that the films are different than the usual horror stuff that always come out every year. At the very least...Coscarelli did etch his name into the horror landscape with something unique, creating some truly iconic characters in the process. Ok, ok...I'll give you Phantasm IV: Oblivion. That one wasn't so good. But, the film does have its fans. So, what did you guys think? Are you psyched at seeing a new Phantasm film? I am holding onto a cautious excitement, myself. The second thing that struck me is the inescapable fact that the trailer looks pretty goddamn cheap and uninspired. Sort of has that rushed look to it. Almost as if they shot the trailer a day before it was released, or something. The third thing that struck me is the big ball at the end. Something that signals the biggest red flag in any kind of sequel is the idea of "going bigger" because the writers simply can't think of anything new anymore. So, often times they'll just go bigger...thus creating a clumsy and awkward mess of a film. Not that the previous installments aren't messy or awkward. There's plenty of awkwardness to go around in this particular franchise. I'm just a little skeptical on how this fifth installment will turn out. Thanks to the last Chucky film, there is a renewed interest on some of the iconic 80's classics that have paved a way for mainstream horror. Sequels can be fun and feel fresh...if done right. However, that isn't necessarily a common thread for the genre. Anyway, it appears that Phantasm V Ravager is already shot and ready to go. As of this writing, there are no release dates or distribution news to report. Just this trailer and cool poster up above. What do you guys think? Are you excited for a new Phantasm film? Or are you a little cautious after seeing this trailer? Or do you even care? ?